The project interviewed survivors who worked and lived in the Magdalene Laundries, as well as relatives and members of the Religious Orders. Members of the Redress for Magdalenes campaign group pickets the Sisters of Mercy. SURVIVORS OF THE Magdalene Laundries will today launch an oral history of the institutions that aims to contribute towards a better understanding of the system that housed women until 1996. ‘Magdalene Institutions: Recording an Oral and Archival History’ gathered together archive material and oral history accounts from survivors who worked and lived in the Magdalene Laundries, as well as relatives and members of the Religious Orders. Other key informants, such as paid hands and GPs, have also been documented by the project which is funded by the Irish Research Council and conducted by UCD Women’s Studies Centre. The symposium will also introduce British and Irish 16-year old students to the ethical issues raised by the Magdalene Laundry system. This include comprehensive detail of state interaction in the Magdalene Laundries, laundry account books for the Limerick Magdalene which seem to detail extensive commercial activity, electoral rolls which provide a register of the women held in the laundries, which has been an unexplored resource to date and most valuable in terms of the lack of access to the records held by the religious sisters. Irene, one of the survivor interviews for the project, said that she found it “wonderful to come out in the open”. 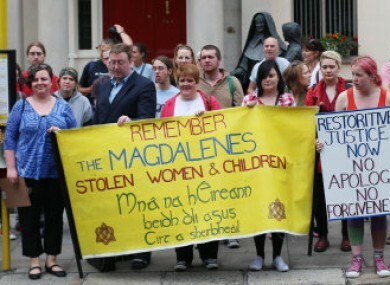 Email “Magdalene survivors launch oral history of the institutions”. Feedback on “Magdalene survivors launch oral history of the institutions”.